Who would like to work on a stained and grimy gadget? If your laptop keys feel sticky or stained, then it is time to clean your laptop. Cleaning a laptop is a bit difficult & delicate tasks, and no one can deny this, but there is nothing to worry about. It is always a good idea to take safety steps to avoid alarming situations. Our laptop is an important gadget as it stores a huge amount of personal and official data. The data is often confidential. Therefore, it is important to have a back up before starting to clean the laptop. Before proceeding to the cleaning procedure, it is important to turn off your laptop. You will not spill the liquid directly on the keys, but it might be possible that some liquid gets inside during cleaning. So, it is essential to shut down the laptop and remove the battery. Make sure to remove the power cord and unplug any accessory attached to the laptop including, USB, card reader or data connectors. It is always a good idea because it will protect you from any electrical shock. As mentioned earlier, the laptop keyboard usually has dust particles that clog in the small spaces between the keys. When you gently shake and tilt your laptop upside down, this will dislodge the dust particles or crumbs. By doing this initially, you can do the detailed cleaning afterward. After removing the big crumbs and dust particles, it is a time to grab a good vacuum cleaner. Make sure that straw is attached with the can of the cleaner before you spray. 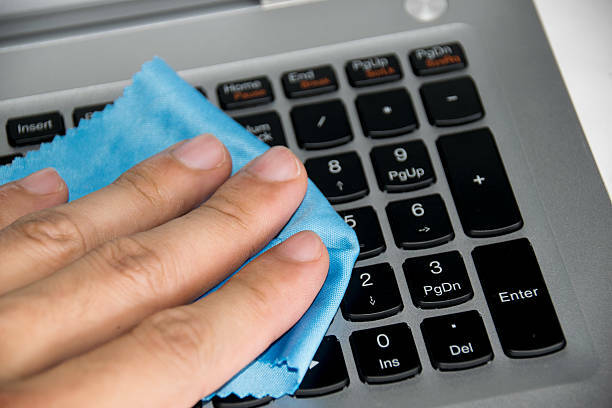 Use spray between the keys of your laptop and tilt simultaneously to ensure proper cleaning. The pressure of air will dislodge the residual particles without endangering the safety of your laptop. Use a reliable microfiber cloth or lint-free cloth to wipe out the keys of your laptop. 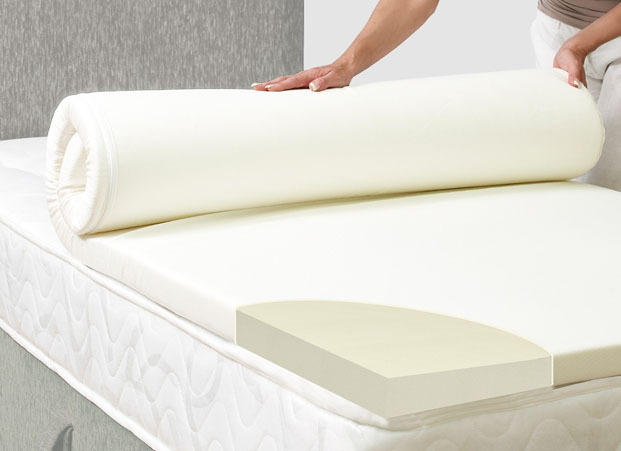 They have a capability to attract dust and grime so, it is vital to use microfiber or lint-free cloth. If you feel that there is need to use water for cleaning, dampen the cloth in a little water and wipe the keys with proper care but, make sure that no moisture will get inside the keys. Isopropyl alcohol is best as compared to water because it evaporates quickly and does not harm your laptop. Another advantage of using isopropyl alcohol is that it will not remove the letters of the keyboard. In order to remove the stubborn stains and oily residue, take some cotton swabs or balls and dip them into isopropyl alcohol. Use cotton balls to clean the surface of the keys and use cotton swabs to clean between the keys. Cotton swabs are convenient to run in tight spaces and will ensure thorough cleaning. Just be sure to dip the cotton swabs in alcohol rather than pouring directly on the keys. Due to the frequent contact with the environmental dust, many germs get attached to the keys of the laptop. Some people use shared gadgets at workplace and germs transfers from one person to another. Just make sure that your laptop is free from germs before you end up cleaning your laptop. Use disinfecting wipes to kill the germs. Never use wipes after soaking in bleach because bleach is threatening for the protective coating of the keyboard. It is also important to avoid using a disinfecting spray for cleaning purpose as the moisture threatens the proper working of your laptop. After proper cleaning and wiping, place the battery of your laptop again. Make sure that your laptop is dried completely before placing the battery back. A little moisture can become a major threat to the working of your laptop. Turn on your laptop and check that your laptop is working properly or not. If it does not work properly, give it another day to dry and then use it for your personal and official work. Make sure that your laptop is unplugged and turned off. Use a vacuum cleaner with great care as it contains many toxic chemicals. Keep an eye on any moisture that may penetrate inside of the keys. Let your keyboard dry properly before turning it on again. Keep cleaning your laptop at regular intervals to ensure proper functionality and cleanliness. Like every other thing in your home, your gadgets also need proper cleaning and careful handing in order to ensure proper operations over a longer period of time and, your laptop is no exception. Hygiene reasons are obvious but, it is important to keep cleaning and maintaining your laptop keyboard so that the performance should not suffer. Of course, grimy and dusty keys can never ensure long-lasting working and laptop has complex electronics involved. That’s why it is vital to clean and maintain your laptop regularly. We hope this article will help you a lot in cleaning and maintaining your keyboard.